We had an amazing start yesterday! In the morning, the facilitators and the organisers of the conference had a meeting. 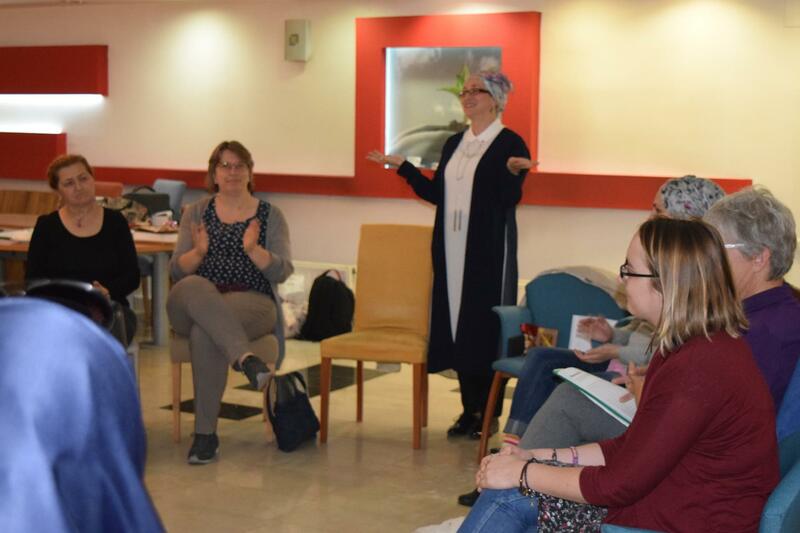 During the meeting, Irma Siljak explained the programme to the facilitators and informed them about their tasks for the conference once more. This was also a good opportunity for the facilitators to ask their questions regarding the programme and to deal with any ambiguities that they have. At the end of the conference, facilitators left the meeting with clearer ideas. The programme officially started with the welcome talk of the director of the Medica Zenica, Sabiha Husic. She made a short and brief opening speech and mentioned the EPIL conference spirit. 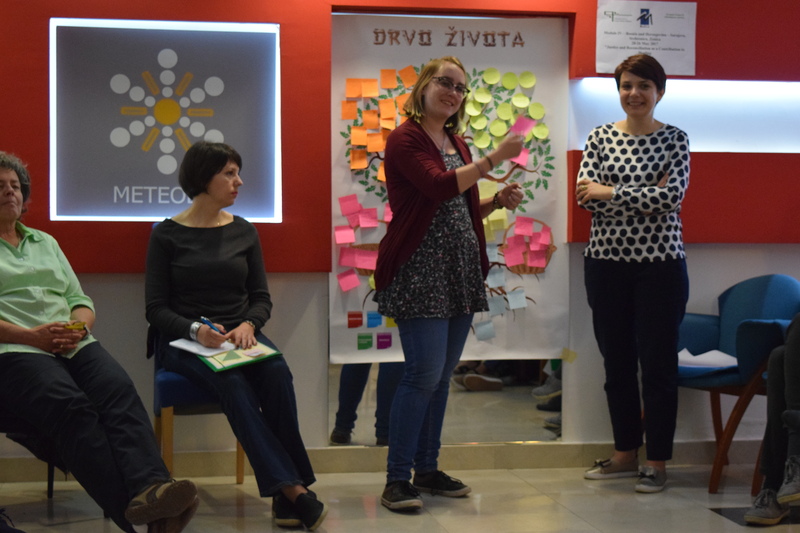 After Husic, Irma Siljak and Jadranka Milicevic made an explanation of the programme to the participants. At the end of their presentations, they received questions from the participants. With this, the participants became familiar with the programme and got a clear idea about this 6-day long organisation. In this session, participants were asked to put in front of their chairs three things that describe themselves which had been asked from each participant before they came to the conference. Thus, everyone had these three things, and on voluntary basis, one person among the participants became volunteer, told their names and introduced themselves by defining or describing those three things which are meaningful to them. Some people brought books with them to express how much books are meaningful to them. Or some people have showed the photographs of their loved ones to describe themselves through their love towards their family. 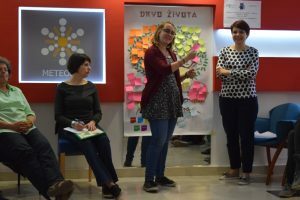 This enabled participants, first of all, learn each other’s´ names and also it created a good synergy among participants. This is because at the end these three things that are meaningful to them became tools for knowing these participants closely. At the end of this exercise, the participants were also asked to share with one word how they feel right after this exercise: many people used the words `connected,excited, happy, amazing´ to describe how they started to feel about the atmosphere in the room after the exercise. 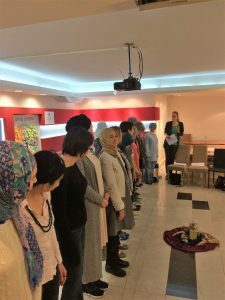 As a whole, it was a good start, people learned each other´s stories; and this created a confidence and engagement among the participants. Sunday morning we started with the morning meditation that was prepared by the Bosnian group. They introduced us to Bosnian spiritual music, first Orthodox and then Islamic music. It was a wonderful way of starting the day, meditating and being quiet. The last fragment they played, was the typical Sarajevo sound of the muezzin and church bells ringing at the same time. After the meditation we first started with the story of Emel and why our Turkish sisters were not able to join us. She explained that the situation is way more complex than you would at first think. It’s not just about recent events, but the story starts long before, with the start of the founding of the first republic of Turkey almost a century ago. Since then there is a history of coups and periods of oppression on the one side and periods of relative peace on the other side. All those events make that the situation in Turkey is not only to be seen in the light of recent events, but in this history. We expressed our sadness that we couldn’t be all together and that we can’t finish our EPIL course together. 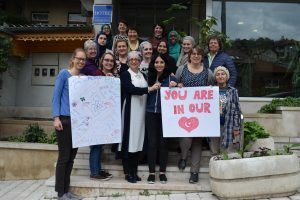 We agreed to send all our reports, to share with our Turkish sisters what we are doing here and let them know that they are with us in our hearts. After this talk, we proceeded to ‘me and my life tree’. We were asked to write the answers to give questions on a specific colour post it. 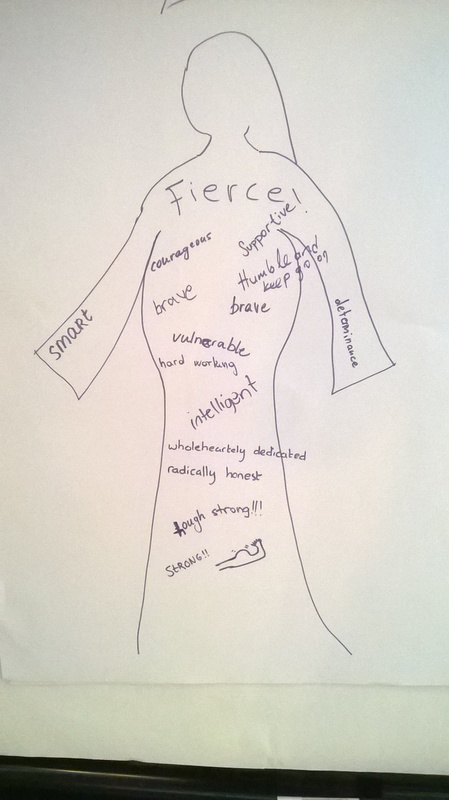 What are your personal qualities? What motivated you to join the EPIL program? What are the results you got from EPIL that you are proud of? What do you still need from EPIL? What do you expect to get from EPIL? We presented our answers and placed the post its on a big poster of an apple tree. Our qualities at the roots, our motivations at the stem, our results and needs as ripe and unripe fruits in the tree and our expectations in the basket. It was interesting that everyone could relate to each other’s answers. There was an overlapping core in all the answers. Next we went to the country group reflections of module I-IV. The Dutch group focused on the topic of identity markers and how EPIL can make you feel differently about your identity or the way you look at identity. There was a personal story and then an exercise ‘walk by my bootsteps’ where we were all placed on a line and had to step forward if we felt a description was about us. We then talked about identity and how it can feel to be a minority or a majority. The Austrian group did a mime play around a flower, the EPIL flower. They took different positions to it, smelled it, touched it and even got stung by its thorns. They invited others to look at it, to be amazed and to share different views on the flowers and the smell. It was great to see how a small play like that can show all those different experiences of EPIL that we all could relate to. Then we ended with the Bosnian group, who made a wonderful film where they showed pictures of different modules. Similarities and differences. We may know that we stand in a line of women who made way for us and that women will follow. It was great to see old pictures, to recognise some of the people, but also to see pictures of our own modules and to be remembered of the great times we had. They also included interview fragments with EPIL students who explained what they think is important and good about EPIL. After the reflections we went on to the old town to have a wonderful lunch.After the lunch we had some free time, thanks to the flexibility of the Bosnian moderators. 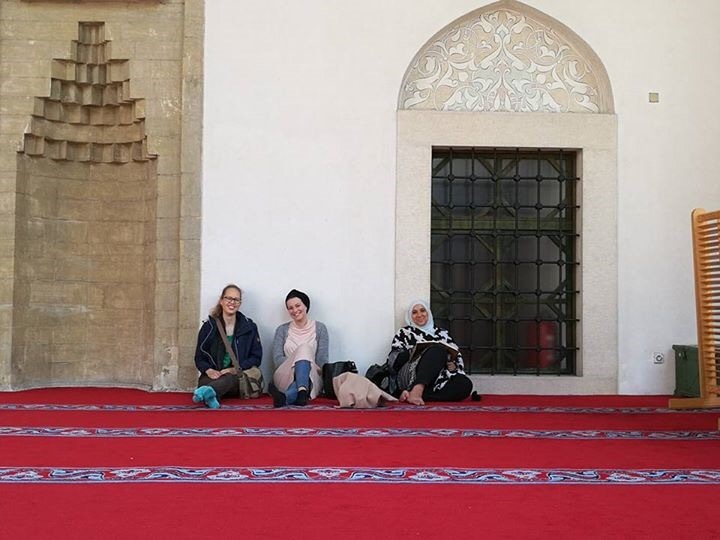 Some of us spend some time to pray at a local mosque, where eventually we met other people from EPIL and spend some relaxation in the prayer area together. After our free time we met dr. Aladin Husic who showed us the development of religions of Bosnia in practice. We had the opportunity to see different buildings, from the 480 years old Islamic madrassa to a Catholic church. It was interesting to hear more behind the city of Sarajevo and to see the how close to each other the religious buildings where functioning. After the sightseeing tour we had time to spend together however we liked. Our groups mixed internationally and we had conversations about the experiences of living in the home country we have. It was nice to see that when someone needed to pray the others would support her and just wait, with some lovely ice cream, till the other finished prayer. The day ended with a group reflection in an Viennese-style restaurant, for some of us a home away from home. The participants showed their appreciation with regard to the flexibility of the moderators, and looks forward to dive deeper in our dialogue this week. 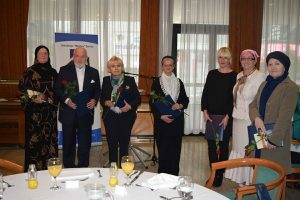 Program at the Faculty of Islamic Studies in Sarajevo was opened with addressing of the Dean of the Faculty and his sharing of the historical events related to the Faculty’s establishement (founded by the Islamic Comunity in 1977) and Faculty’s current activities and additional programs, apart from the regular studies. After introducing the participants with the information related to Faculty’s work, Prof. Dr. Zuhdija Hasanović, Dean, Faculty of Islamic Studies (FIN), elaborated on the topic Importance of teological education today. 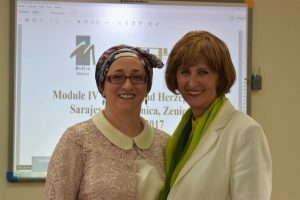 Prof. Dr. Zuhdija Hasanović concluded that the Islamic education in BIH preserved its identity. Next were the presentations on Contribution of educational institutions in the process of peace building by Prof. Dr. Zehra Alispahić, (FIN, Sarajevo), Fra. Ivan Nujić (Franciscan High School, Visoko) and Prof. Dr. Manuela Kalsky (Dominican Research Centre for Theology and Society, VU/Vrije Universiteit Amsterdam). Prof. Dr. Kalsky said assumption of the secularization theory in the world was wrong and that religion did not dissapear but transformed, even in the secularized countries. She introducednew terms such as Somthenists/Etsist, the NieuwWij/New We1 project at VU, as well as the Magazine on Multiple Religious Belonging called MiX. Fra. Ivan Nujić presented the work of the Franciscan High School inVisoko underlining that the school is open for students of all religions. He explained how important is the influence of the friar and saint patron Saint Francis of Assisi for the school. Afternoon program included discussion on the topic The role of religion in the process of global migratios – Challenges for the society. Prof. Dr. Emel Topcu shared details on the current situation in Turkey and the means and methods which Turkish people use nowadays to help the Syrian refugees or as they call them ‘their guests’. Barbara Heyse Schaefer, member of the EPIL Steering Board shared her personal story about her grandfather and his leaving his homeland being Protestant, in order to be able to freely practice his religion. She explained the importance of religious belonging vs. teritorial belonging. Dr. Reinhild Traitler-Espiritu, Honorary President of EPIL explained that religious and ethnic composition of the European countries population is a result of constant mixtures (territorial conquests) and that transformation of the world is always caused by great migrations. She highlited religion as the most important identity marker and said that religious believes may be used or misused. 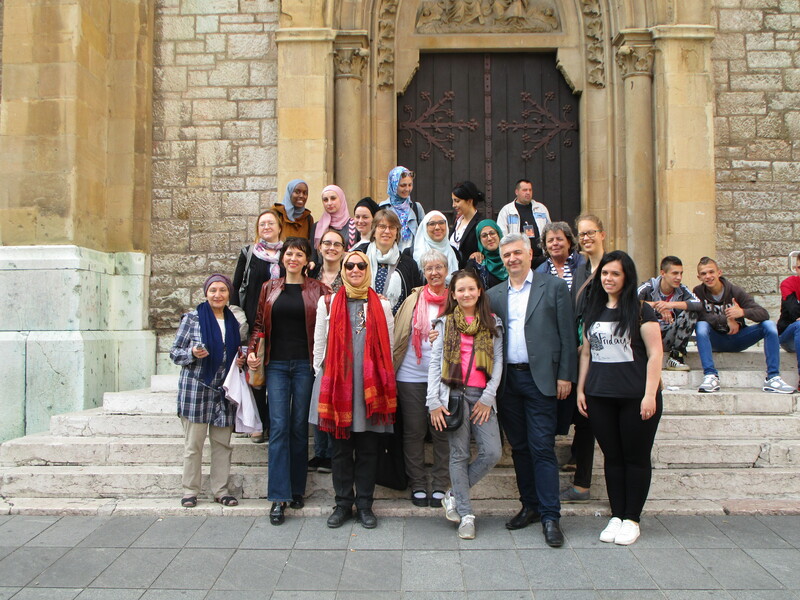 Prof. Nermina Baljević, Faculty of Islamic Studies, Sarajevo was not able to attend. 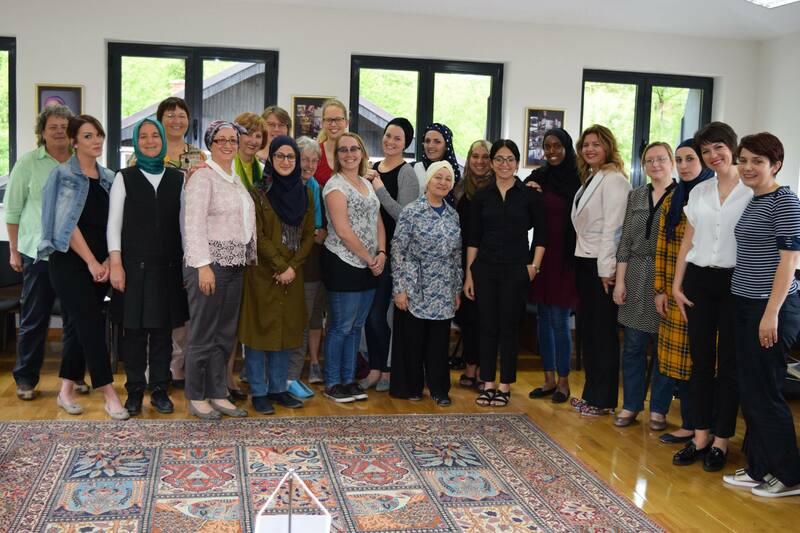 However, her colleague Prof. Dr. Zehra Alispahić kindly introduced her work to the participants on the same topic.After the official presentations by the speakers, participants were given the opportunity to reflect on the topics of the day by commenting or posing questions. 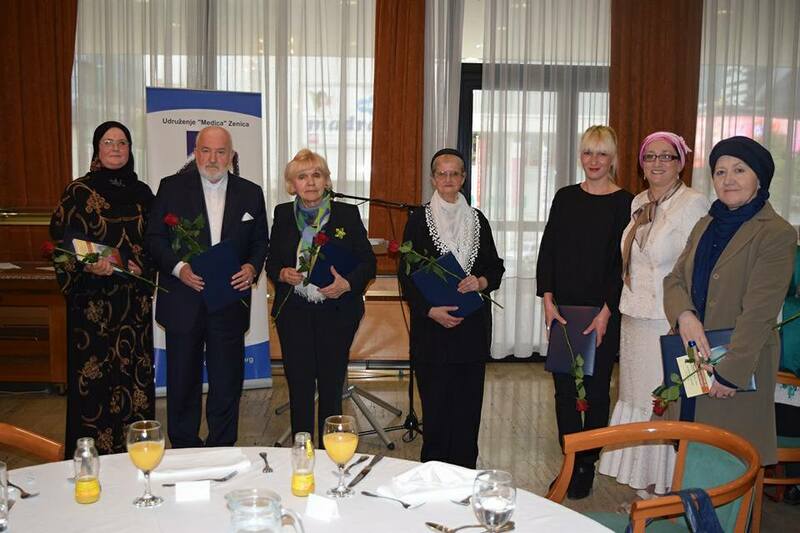 Program at the Faculty of Islamic Studies was moderated by Mrs. Emina Pašić. We left the hotel at 7:00 heading for Tuzla. We passed the Bosnian landscape mountains and rivers, villages and agriculture, blue sky up above. The landscape resembles the place where I live in Austria, the difference is the size of fields and livestock. We used the time in the bus to discuss yesterday`s speeches and what we are working on at home and we had a little snooze in between. In Tuzla we visited the Identification Centre. More than 8000 persons were executed the days around 11th July 1995, approximately 6000 have been identified and 1000 bodies have still no name, they are not found yet. Dragana Vucetic, a serbian forensic anthropologist showed us the long and difficult process to identify a body and also the development of the process. We heard the long and difficult process to identify a body and the development of the process. The investigations start from two sides. Photos of the place the bodies are found. The bodies, or nowadays bones, the clothes and belongings are washed and photographed, everything is documented and stored. The documents are kept for a possible future trial. Since 2002 DNA probes are taken. About 5 cm of a bone is taken for investigation.. The costs for the investigation are 600€. 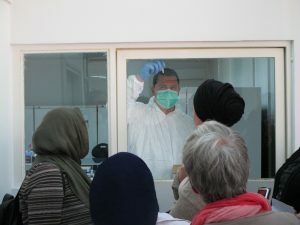 We were in the storage room and the autopsy room, where we saw bone parts oft two persons and we saw the documentary process. The other side of the identification process starts from the living relatives. They bring photos, name, size and health conditions. The process oft the DNA match we learn at the International Commission of missing persons. Here the relatives give 4 drops of blood which is registered and codified, processed and sent to Sarajevo for analysis. Also the parts oft he dead are processed and the codified sample is sent to Sarajevo. When the analyses is done, Mr. Bajunovic explaned, it runs through the statistics to find a match. This has to be doble checked. The match hast o be 99,9% to give a body a name. 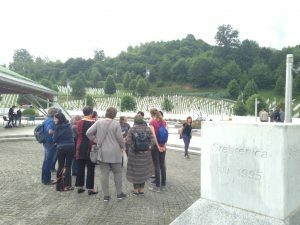 We went on to Srebrenica in the Republic of Srpska, where we met women from Srebrenica, who lost their relatives in the genocide. We had a lunch together. Afterwards we went to Potocari. The graveyard oft he victims. 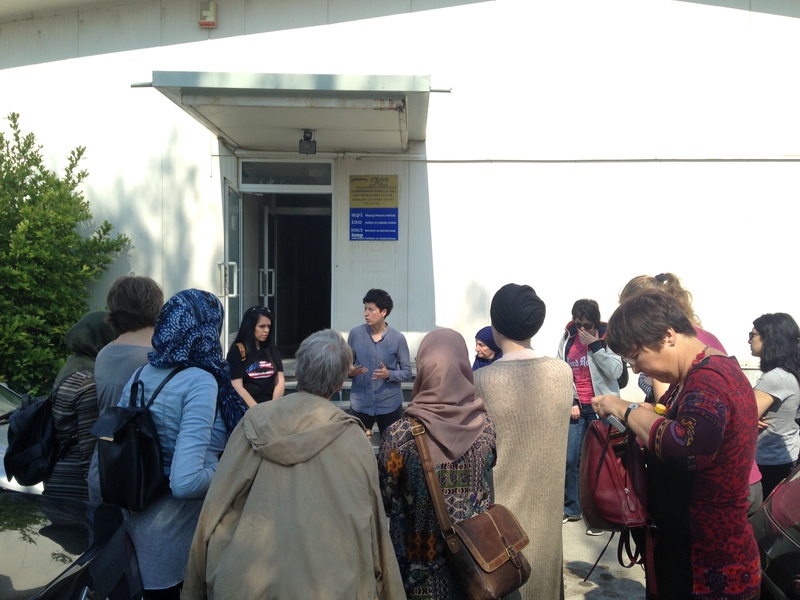 Hasan, a survivor oft he genocide, guided us through the Memorial Center and Potocari. We were praying together and the members of the Dutch group were leading. The women told how difficult it was tio get that place of memory which is so important for them: not to forget what happened. Many in Republic Srpska want to extinguish the memory and even today any sort of manifestation in the street is forbitten. At the 11th of July, the day of remeberance, every year the identified corps are burried. 49 persons this year are ready for burriing. The Republic of Srpska pays fort he centre, which the women feels as a part of justice. The five bosnian women told their storries and looses of familymembers. Every 11th oft he month women meet to remember and hold out the names oft he still missing persons in Tuzla. We showed our commitment on their memories. On the way back tot he hotel we could see the landscape. Mines are still around. After the thunderstorm everything looked quiet, but we felt exhausted. 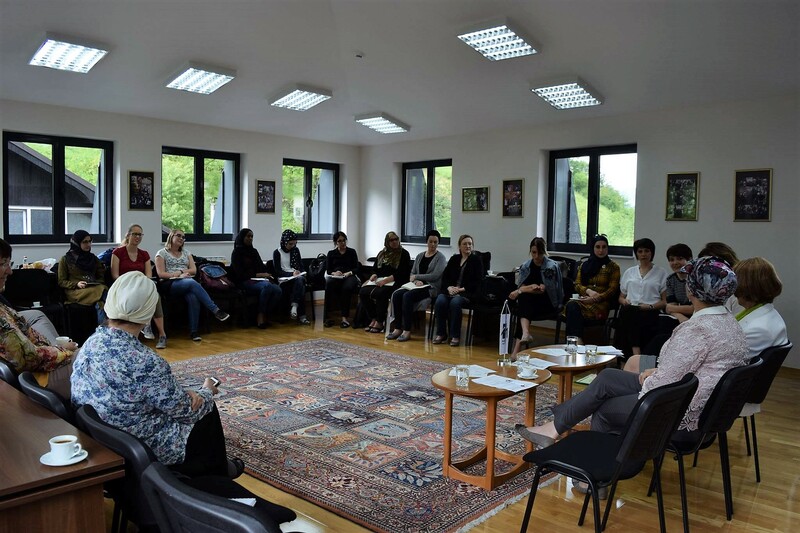 On Wednesday 24 May 2017 participants of EPIL module IV have visited Medica Zenica in Zenica, an expert non-govetnmental organization that has been dealing with women and children victims of war and post war violence since 1993. 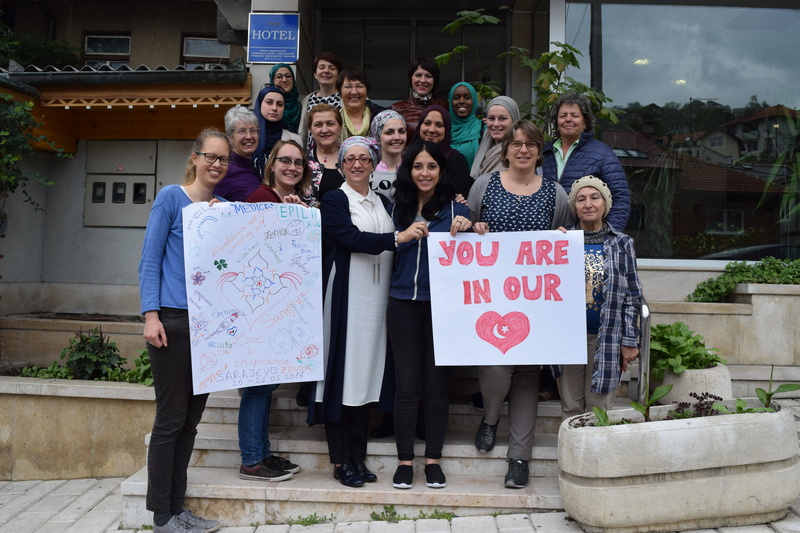 This is one of the oldest NGOs that was founded during the war in Bosnia and Herzegovina and has been continuously working ever since. Our visit to Medica Zenica came after the visit to PIP and ICMP in Tuzla, and Srebrenica Genocide Memorial Center. 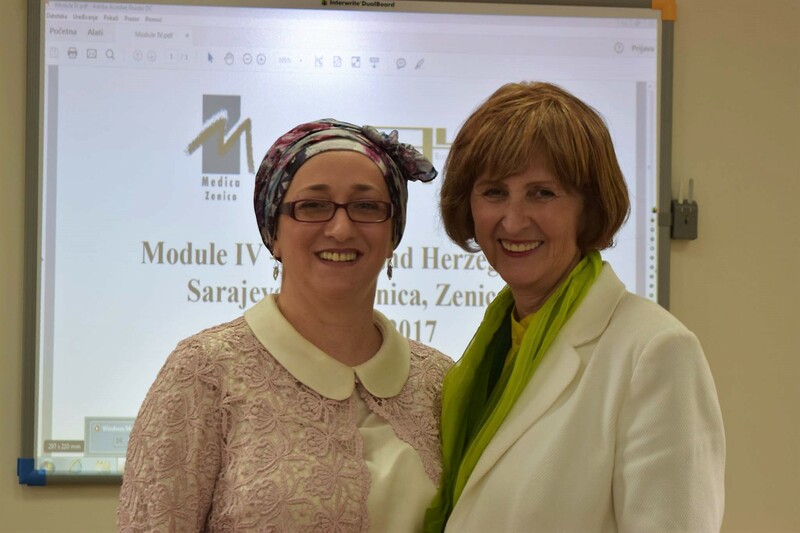 Having learned how life unravels in Sarajevo, Tuzla and Srebrenica after the war, it was important for us to see how civil society and activists in Bosnia and Herzegovina contribute to healing processes – a great example of which we found precisely in Medica Zenica. After a warm welcome by Medica Zenica staff, Irma Siljak, Assistant to Director, offered us a tour around the Medica Zenica premises. There we saw how one organization offers a comprehensive support to their beneficiaries: from psycho-social support and counseling, through various health services, children day-care center and cozy atmosphere of the safe house, to the programs of economic empowerment of women which include tailoring, sewing, hairdressing, manicure and various other crafts. 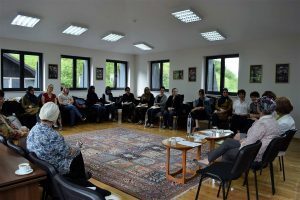 During the presentation „The Process of Rehabilitation and Healing in Order to Build a Pluralistic Society: Work on the Re-establishment of Relations and Reconciliation“ we have learned more about projects and fields of Medica Zenica’s work and outreach. The most important lesson we got from this example is the one of strength and persistence. Strong women have carried the weight of war effects on their back all while being persistent in their fight for justice. 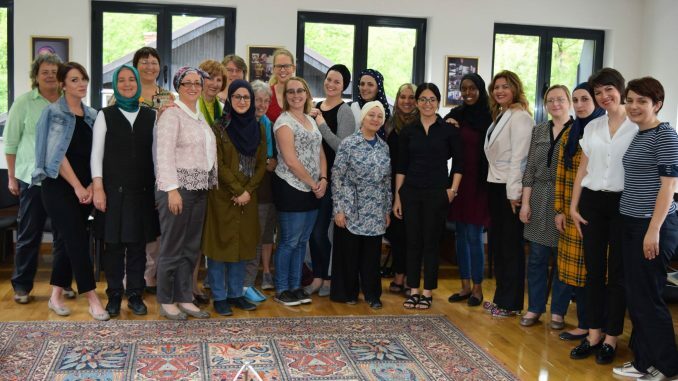 Like a common thread, this is also a story we saw with women of Srebrenica. Listening to the Life Experience of Women Survivors was the hardest but most necessary part of our visit to Medica Zenica. It is a personal story that can bring a person to the doors of understanding. Those stories left us silent for a while. Our pensive mood was soon interrupted by an imperative: you must leave from here with hope! 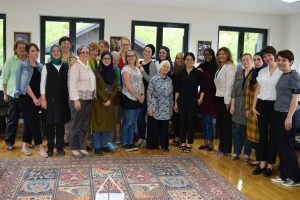 As a group, we have reflected on how we can contribute together and individually.After the lunch we had an opportunity to sit with women peacemakers, Sabiha Husic and Nada Golubovic from the United Women Banja Luka NGO. It was a session of Dialogue „Women Peacemakers on Reconciliation and Peacebuilding in Everyday Life“. It was a truly inspiring experience listening to women peacemakers talk about what they do and why. From one side, we learned about their inspiration, overcoming challenges and different obstacles, but most importantly we learned to envision a better future. As they said, even the smallest progress is still a progress, maybe it looks small from our perspective, but from a different perspective might be huge. A day in Medica Zenica ended with a dinner and a cheerful atmosphere with sounds of traditional music. This morning we had a beautiful morning meditation, led by Adfa and Joanne. It was about strong women. They first read and recited the Song of Mary and Soera Maryam. 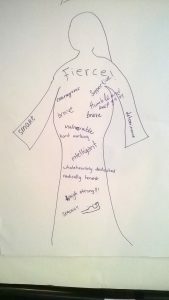 Then they asked us to think about strong women in our lives, and how they inspire us. We finished by listening to a poem by Maya Angelou, ‘Phenomenal Women’, which I consider to apply very much to all of us women in this EPIL group.After that we went into town in small groups. We had to find an address that was given to us, and there we had to practice dialogue. The people did not know that we were coming, so they were spontaneous conversations. After that we went into town in small groups. We had to find an address that was given to us, and there we had to practice dialogue. The people did not know that we were coming, so they were spontaneous conversations. After that we went into town in small groups. We had to find an address that was given to us, and there we had to practice dialogue. The people did not know that we were coming, so they were spontaneous conversations. My group (Rita) first went to the coppersmiths, were we spoke to a very nice lady. She was part of a family business and was learning how to decorate the coffee cups. She showed us and after that we could all try. These cups are only made in Sarajevo and represent an important Bosnian tradition. After that we went to the Sevdah Art House, where they play Sevdalinka, which are traditional love songs, that men used to sing at the window of a woman’s bedroom. They had a beautiful café and we had a nice conversation with three ladies there. They were over 80 years old and this is their favourite meeting place. Today was a special occasion to come here, because Ramadan is about to start, so they won’t be coming here for a while. The ladies shared their life stories, about how they lived through the war in Sarajevo, hiding in cellars from bombs and snipers. They worked for the Red Cross, providing food to all who needed it. One lady was of mixed origin, her father was catholic, her mother orthodox, she was orthodox and her husband Muslim. She also thanked the Dutch for helping them with food and other necessities during the war. I (Rita) loved their openness and willingness toshare, it was a very nice form of spontaneous dialogue.Another group went to a soup kitchen, where they provided food to the poor. One group went to an orthodox church and another went to the Jewish Synagogue and museum. After the group reflections, we had the invitiation of the Dutch Group. Geertje gave an introduction on the Dutch module. We will be hosted in a monastry in Huissen and will visit Amsterdam and Arnhem during the course. The Bosnian group received Dutch bracelets and dutch candy was given to everyone. After that we went to the dinner organized by Medica Zenica in the Hotel Holiday. Some speeches were given about the importance of interreligious dialogue and some people received awards for their contributions in this field. 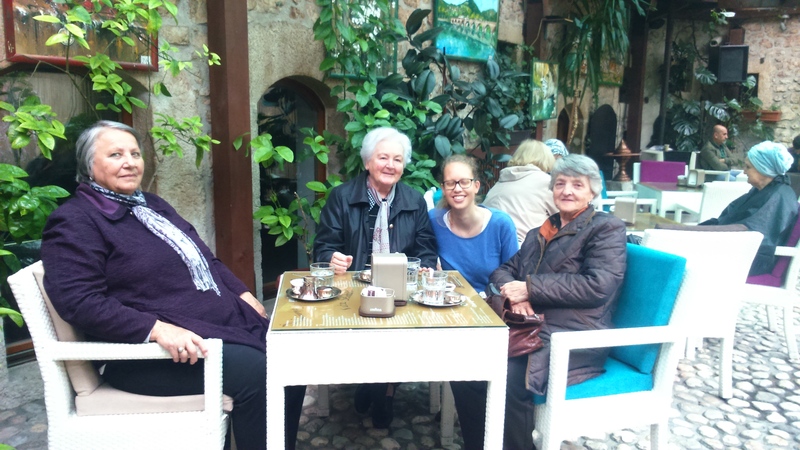 We (Souad & Lisanne) also met Dubravka of a former EPIL module , she told us about the diploma work she did. She did research on the way names influence the perception of someone’s identity. As a muslim she has a name that is commonly used by Catholics. It was interesting talking with her about that and meeting an EPIL-alumni. After the dinner we went to a spiritual concert as the startmarker of the Holy Month of Ramadan. It was a great way to end our day and programme together. Sitting together in a circle and looking to each other, having conversation and listening, we all knew that the week is coming to an end. Before the Bosnian group started with their morning meditation there was the request of being in the future furthermore in contact with the Turkish group, even they are not able to join the remaining Module(s). In this context the idea came about writing on paper the words “YOU ARE IN OUR <3”. So both started, on the one side the morning meditation painting what EPIL is for us, and on the other side preparing a lovely poster for our dear friends in Turkey. It was a really mixed atmosphere at that time, on the one hand reflecting what happened in this week throw talking, listening and thinking and on the other side painting or writing it on paper, and also have in mind that we are all going to say goodbye to each other soon. After finished the task of the morning meditation we all get back at our seats. The final ritual just picked up again the task we did at the second day of this Module, on Sunday. “Me and my life tree”, was an exercise for everyone to define personal successes, motivations, dilemmas and expectations. Now we all had to pick up again the red little sheet on the left side on which we wrote what our expectations was in the beginning of this week, and if it is reached to put it on the right basket, which we held empty until then. After we finished this task the Austrian group just caught up what the Turkish and the Dutch group did a day earlier namely giving their home country gifts to the Bosnian Group. Then the big group split itself. A few went upstairs to pack their bags and to check out, a few went again to the city, and a few just kept on talking, laughing and making pictures while waiting for the snacks which were going to be prepared meanwhile.